Melody Yang brings Gazillion Bubbles to TODAY Show! 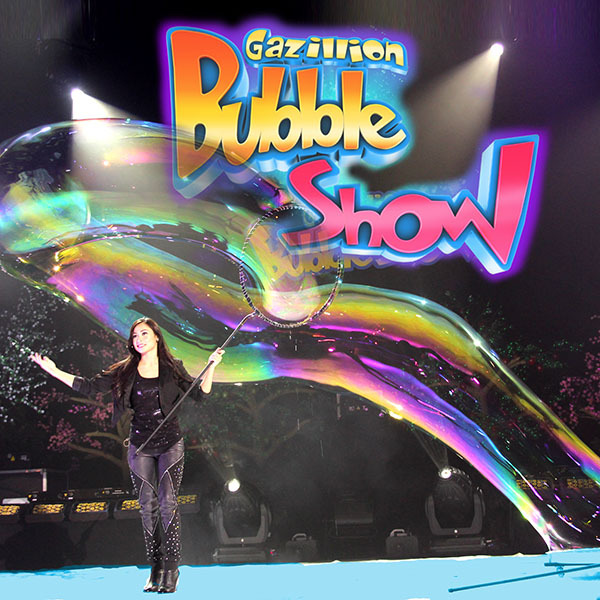 | Love Productions Inc.
Melody Yang brings Gazillion Bubbles to TODAY Show! Many say blowing bubbles is a great way to calm and center yourself. Bubble artist Melody Yang from “The Gazillion Bubble Show” in New York City shows Al Roker, Sheinelle Jones and Mario Lopez how to make enormous bubbles – and even bubbles within bubbles!